Apple on Thursday issued a tenth beta of iOS 12 to developers, coming just three days after it seeded beta 9. The new code is listed as build 16A5364a, and should be available as an over-the-air update for registered developers or through Apple's developer portal. It's not yet clear what changes have been made. Apple is likely nearing a "gold master," or final release candidate, since it rarely runs through this many developer betas for a piece of software, and the company is likely to launch iOS 12 next month ahead of new iPhones. Apple has made iOS 12 more useful for owners of older iPhones and iPads, with performance improvements aimed at improving the experience for those devices along with newer models. Owners of iPads will also be able to use some extra gestures, and see notification grouping features borrowed from the iPhone X. The version number for iOS 12 is now two out of step from the rest of its operating systems, as Apple released then withdrew the seventh beta, then released the eighth beta two days later as a new version, rather than as a re-issue of the seventh. A new focus on "digital health" in iOS 12 brings with it a new Screen Time function, designed to help users monitor their app usage. To help break a user's dependency on social media and games when they should be productive, it is also possible to restrict access to time-wasting apps. Updates of default apps, including Stocks, News, Weather, and Voice Memos are being included, while a new app, Measure, will take advantage of ARKit to measure objects in 3D space, using the rear camera. 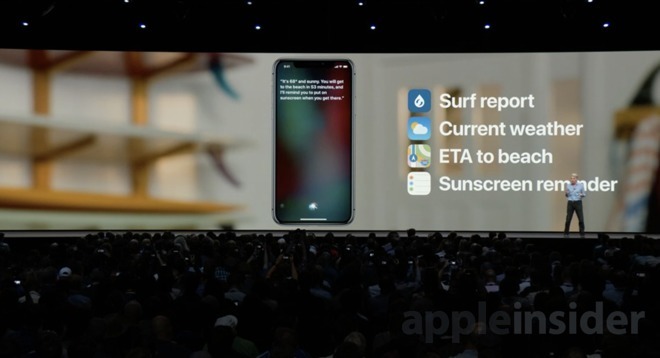 Siri Shortcuts, MeMoji, and third-party map support in CarPlay are also coming. One notable change to Apple's announced plans is that it will not be including Group FaceTime in the final release, with a later update expected to enable the feature later this year.